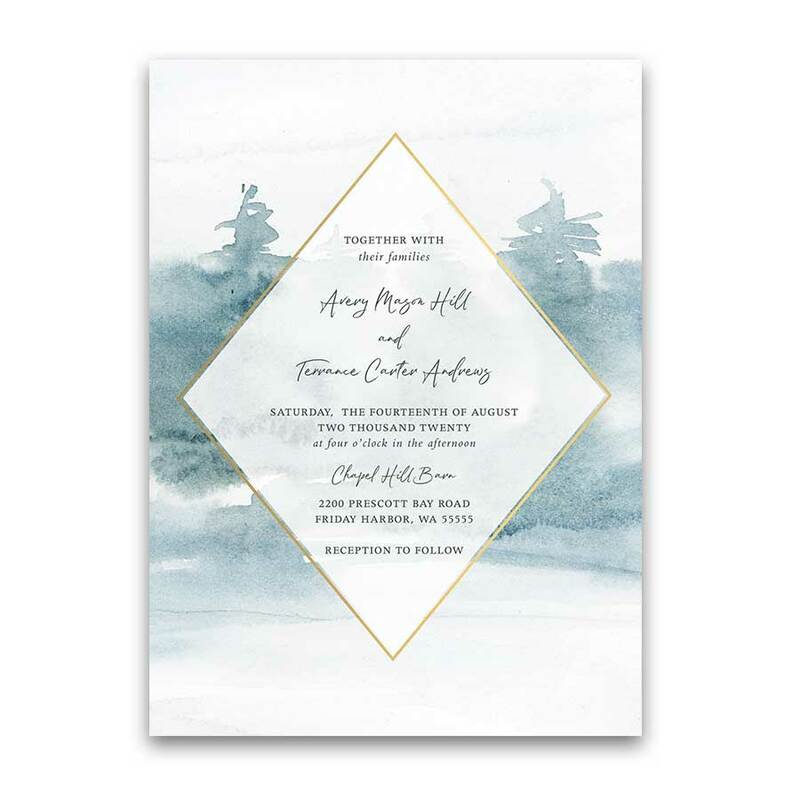 A beautiful watercolor wedding save the date card featuring a hand painted forest and trees watercolor background. Beautifully elegant fonts complete the design. Each card comes with an accompanying envelope. 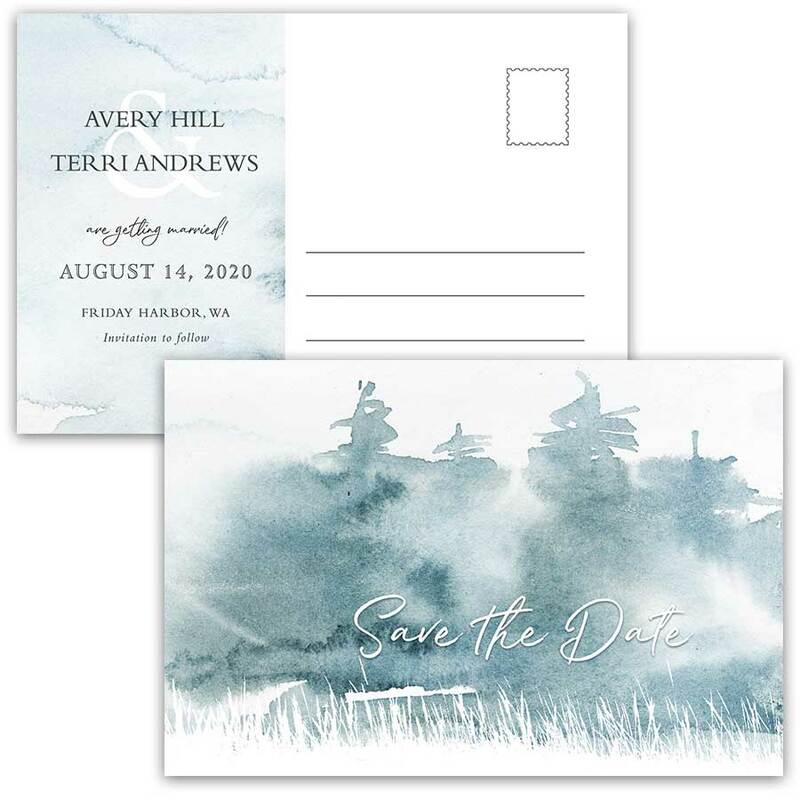 Forest Wedding Save the Date Cards Modern Woodsy Watercolor Trees. This beautiful watercolor hand painted save the date card featuring the beauty of a hand painted forest and modern geometric blocks. Welcome to the Skye Harbor Collection. 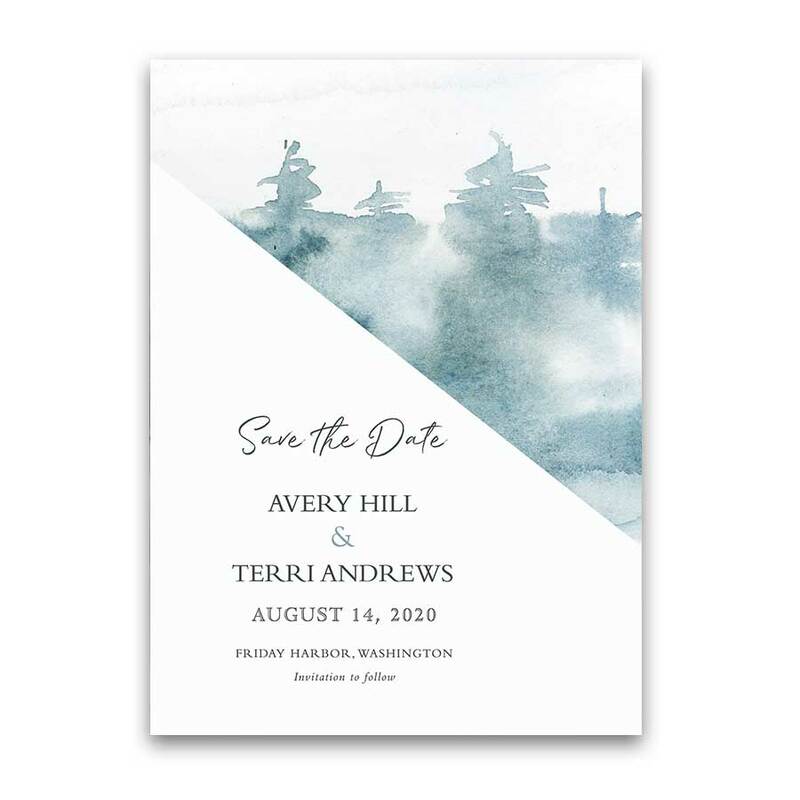 An entire wedding suite with the same hand painted watercolor theme is available in the store. 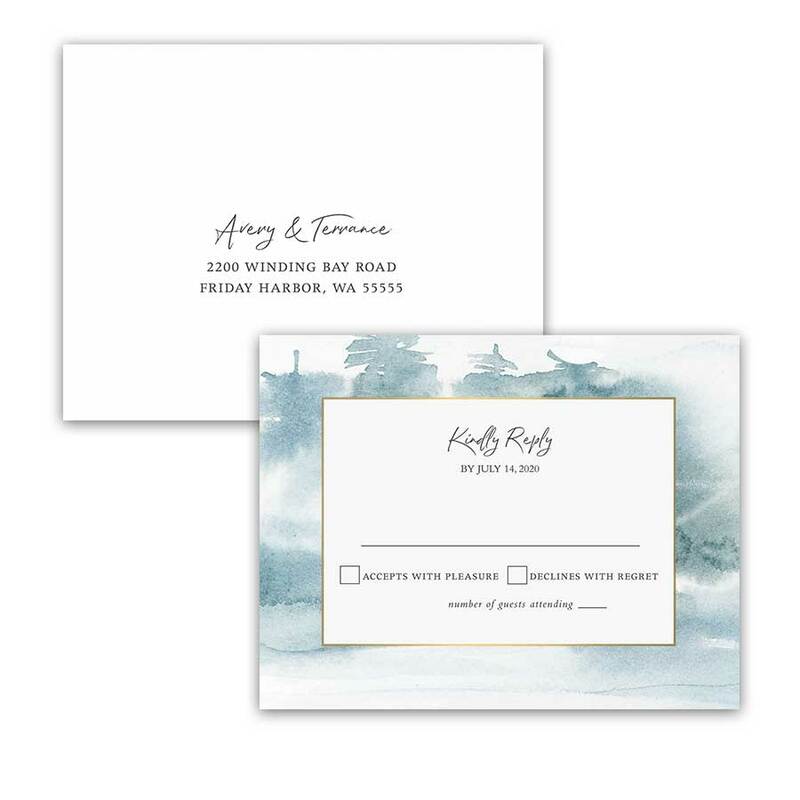 Therefore, click on any item below for coordinating products in this design and let’s get your wedding planning underway! Especially relevant for: forest weddings, bohemian weddings, pale blue wedding celebrations, rustic chic weddings, woodsy themed weddings, and glamping weddings- not to mention country weddings alike in summer, winter, and fall. 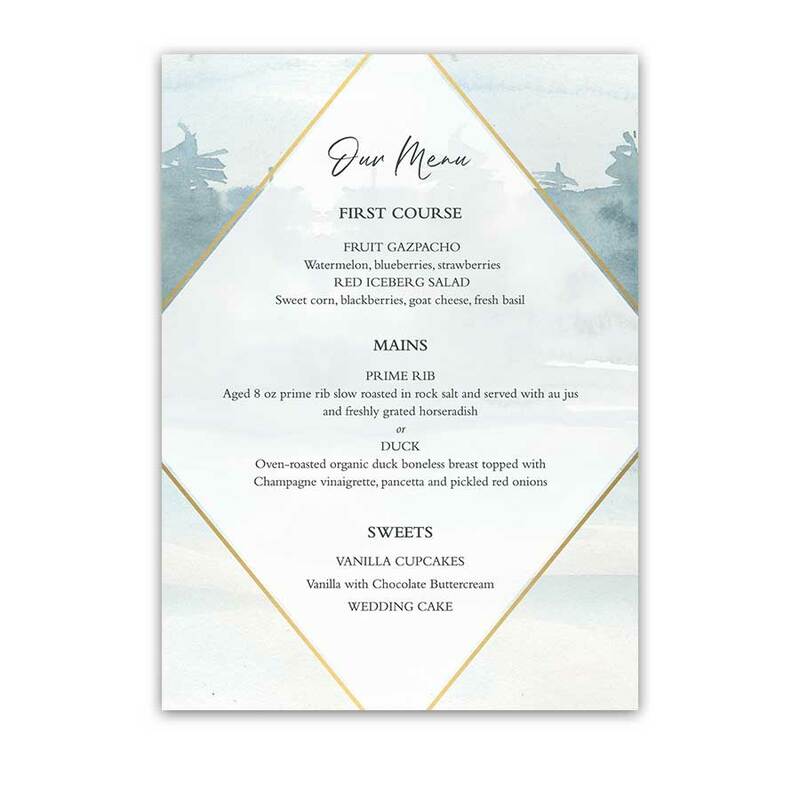 We also offer more geometric frame wedding invitations in the store. Visit our Pinterest boards for more wedding inspirations and ideas. 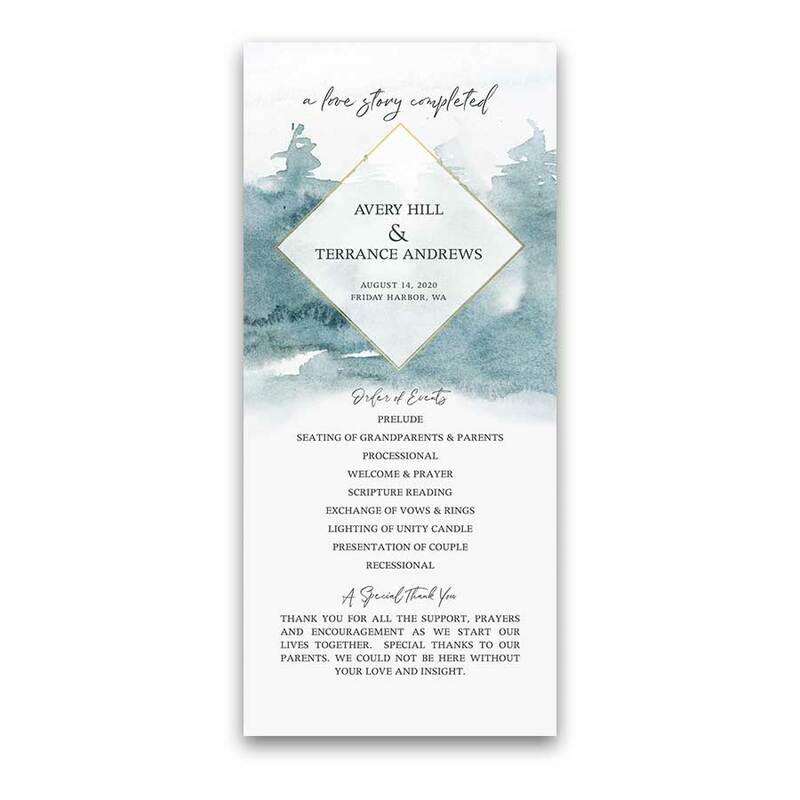 The Forest Wedding Save the Date Cards Modern Woodsy Watercolor Trees measure 5 inches wide by 7 inches long. 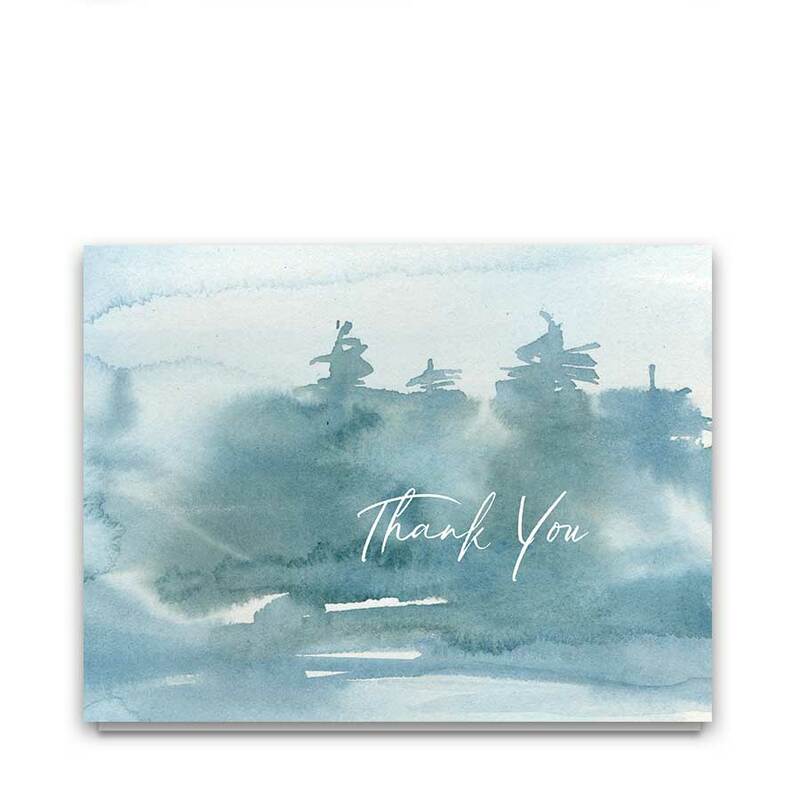 A postcard option is also available. 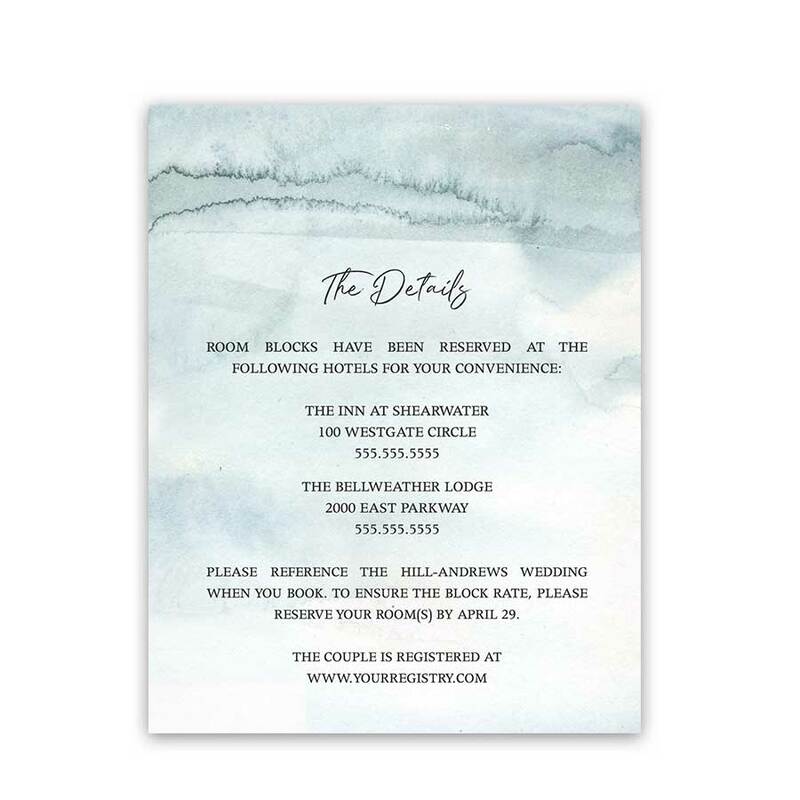 We customize the save the date with your wording. Therefore, please be sure to provide the exact wording you would like at checkout. Proofs allow you the opportunity to review for errors and make edits upon receipt of the proof package.